Wow, I cannot believe it has been a week already since my last post. I've been meaning to post this much sooner but somehow I didn't find the time. Oh, well, better late than never, right? So this is the manicure I had on for Christmas day. 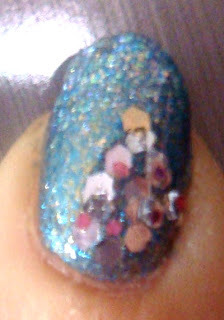 The main polish I used was Zoya Crystal. Such a lovely colour, with two coats my nails looked fabulous! But since it was for Christmas I wanted to add something extra. So I frosted the tips with ColorClub Snowflakes and then using silver, pink and golden spangles I made a Christmas Tree on a finger of each hand. Sealed everything with a coat of Seche and I was done. 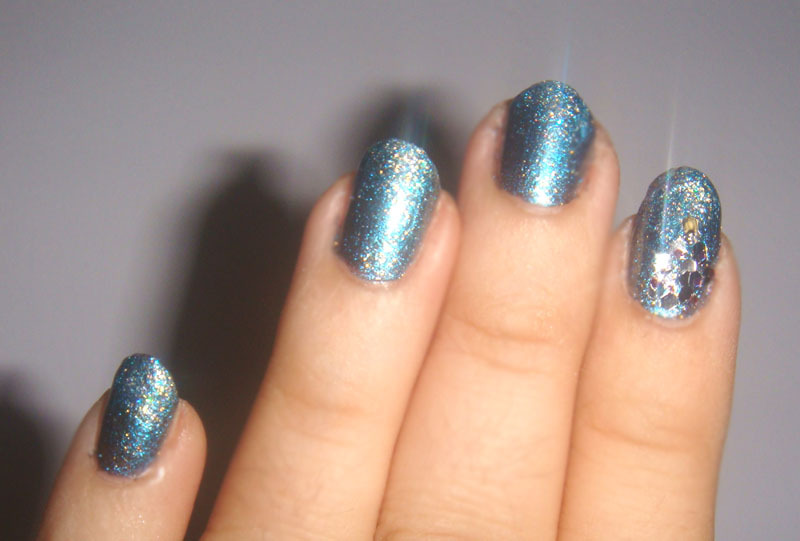 I was very pleased with this manicure as it wore really well for 5 whole days. This year is almost finished, I cannot believe it went by so fast. Less than two days left for 2010! That’s so pretty! That color looks great on you! ooh, so pretty! seriously cant believe that 2010 is almost over! I will be up for a swap! Email me whenever you want! Beautiful. I just put Zoya Crystal in my cart. 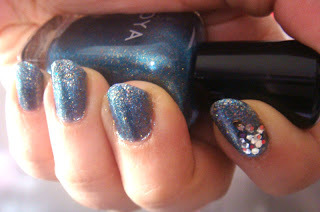 It looks awesome on you and I love the cluster of chunky glitter accent.